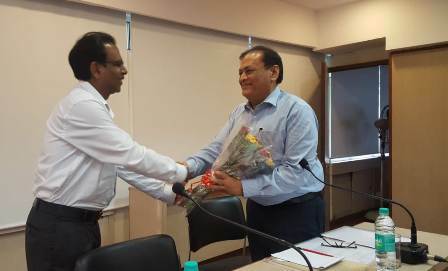 Chennai, August 6, 2018: National Council for Cement and Building Materials (NCCBM), the premier government body forcement and construction industries announced the appointment of Mahendra Singhi, Group CEO of Dalmia Cement (Bharat) Ltd., as its new Chairman. Mr. Singhi has been a part of the board of Governors of NCCBM since 2013. NCCBM operates under the administrative control of Ministry of Commerce and Industry, Govt. of India, for technology development, transfer, continuing education and industrial services for cement and construction industries. A prominent figure in the Indian manufacturing industry, Mahendra Singhi has played a prominent role in the growth and development of the country’s cement sector over the last 40 years. Beginning in 1978 with Birla Group, he has held leadership positions with major cement companies: Shree Digvijay Cement, Ultratech Cement, and Shree Cement, in various capacities. He led Shree Cement before his present appointment. His expertise lies in driving and sustaining industry leadership in a global context, fostering self-actualization and competencies at every level through a robust backbone of trust, support, innovation, reward and happiness. He serves as co-chair of the Cement Sustainability Initiative (CSI) in India and Vice-President of Cement Manufacturer’s Association (CMA). A thinker and advocate of Sustainability, Mr. Singhi has been the driving-force in inculcating this concept in the objectives and operations of the companies he has worked with. Under his dynamic leadership, Dalmia Cement has been ranked # 1 cement company across global cement sector by award winning research series of CDP (Carbon Disclosure Project). Mr. Singhi has also represented Indian business and cement sector during COP-23/22/21 and High-Level Government-Business Dialogues invited by French Presidency among the ministerial representatives, the global business leaders and civil society in addition to Paris Agreement Signing Ceremony on invitation of former UN General Secretary Mr. Ban ki-moon.